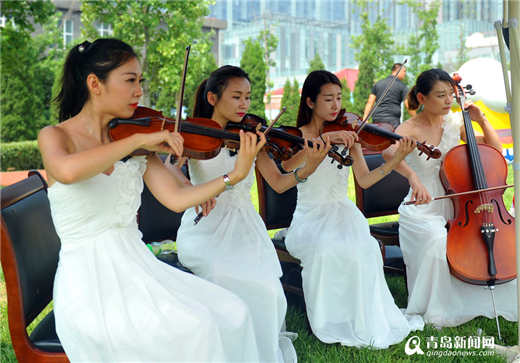 With festive and upbeat music, the Laoshan session of the 2017 Qingdao International Beer Festival opened in grand style on Aug 11 and extended invitations to the world's revelers to attend a bacchanal carnival in the eastern coastal city of Qingdao. 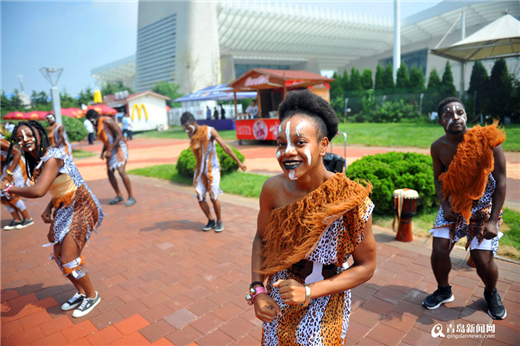 Millions of visitors, residents, models and pop stars started a 17-day party of beer drinking, gourmet food, live music and various performances at the 100,000-square-meter venue, which has three squares from East Hong Kong Road in the south, all the way north past the Qingdao International Convention Center on the Miaoling Road. Drinkers can enjoy more than 300 kinds of beer including 41 world-class brands from more than 11 countries at the festival, including Tsingtao, Budweiser, Carlsberg, Corona, Tiger, Krombacher and Hofbrau Munchen. 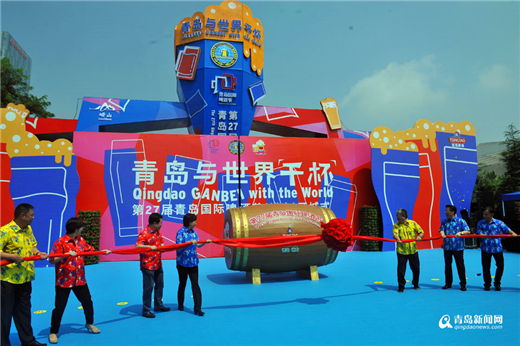 Besides seven distinctive grand beer tents and four beer-themed gardens, the Laoshan venue added two brand new saloons – Tsingtao 1903 and Paulaner. The Tsingtao 1903 is designed as a melting pot of beer culture, art and fashions, while the Paulaner caters to Bayern fans with authentic German cuisine cooked by master chefs from Germany and live performances by a foreign band. With various landscape decorations and an extravaganza of art and cultural performances, drinking competitions, firework displays and masquerades, Laoshan is slated to amaze citizens and tourists with its festive beer devoted carnival.